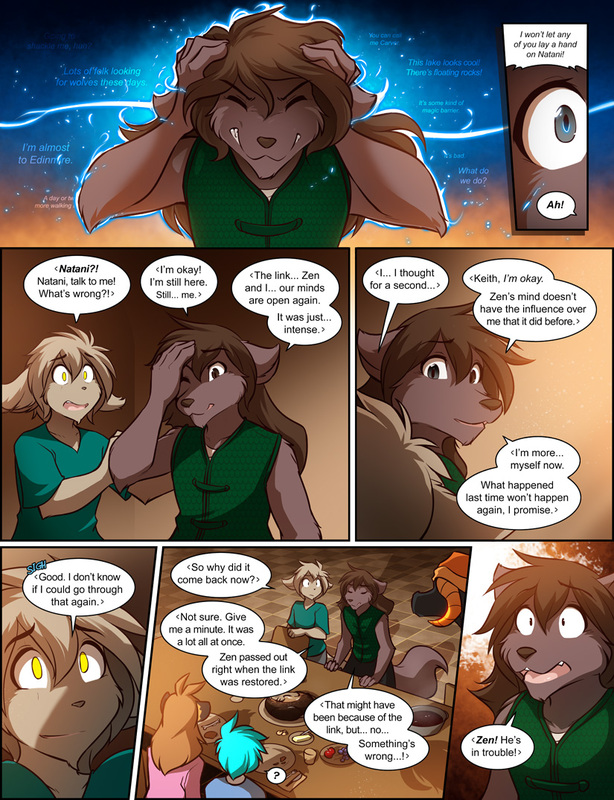 1000: Link Reestablished - Twokinds - 15 Years on the Net! Going to shackle me, huh? Lots of Folks looking for wolves these days. I’m almost to Edinmire. A day or two of walking at most. You can call me carver. This lake looks cool! There’s floating rocks! It’s some kind of magic barrier. It’s bad. What do we do? Zen: I won’t let any of you lay a hand on Natani! Keith: (in Keidran) Natani?! Natani, talk to me! What’s wrong?! Natani: (in Keidran) I’m okay! I’m still here. Still… me. Natani: (in Keidran) The link… Zen and I… our minds are open again. It was just… intense. Natani: (in Keidran) Keith, I’m okay. Zen’s mind doesn’t have the influence over me that it did before. Natani: (in Keidran) I’m more… myself now. What happened last time won’t happen again, I promise. Keith: (in Keidran) Good. I don’t know if I could go through that again. Keith: (in Keidran) So why did it come back now? Natani: (in Keidran) Not sure. Give me a minute. It was a lot all at once. Zen passed out right when the link was restored. 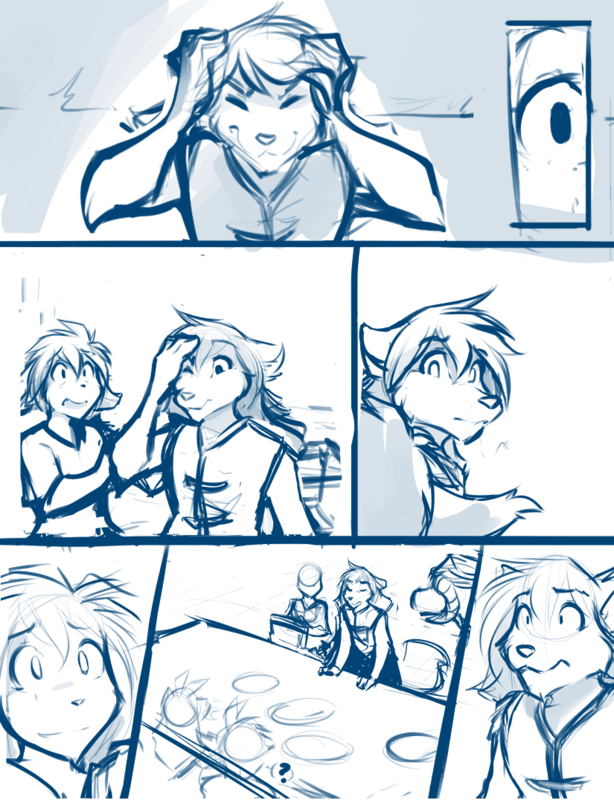 Natani: (in Keidran) That might have been because of the link, but… no… Something’s wrong…! Natani: (in Keidran) Zen! He’s in trouble!